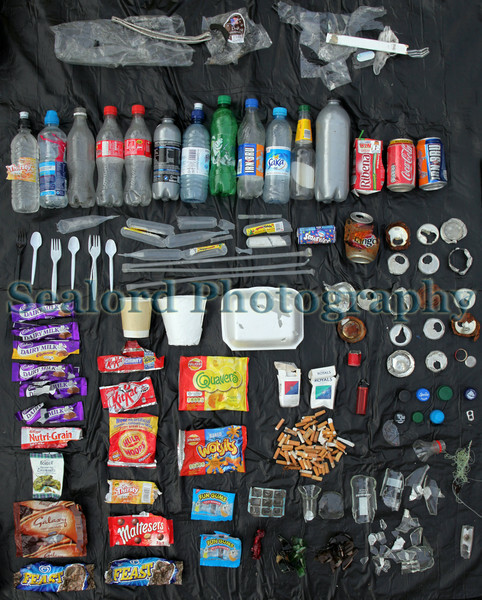 The litter items in this image were collected from the small pebble beach by La Valette bathing pools on the morning of Sunday 21 June 2009 before people arrived on the beach. Some of the broken cans had clearly been on the shore or in the sea for sometime. Someone had thrown glass bottles onto the beach where they smashed. This amount of litter represents a significant reduction in litter compared to the collection on 1 June. This reduction may be the result of the BBC's Beach Watch campaign at the beginning of the month.